The Philippines expects a United Nations tribunal to rule in its favour in an increasingly fraught dispute with China over territories in the South China Sea, a presidential spokeswoman said Saturday. 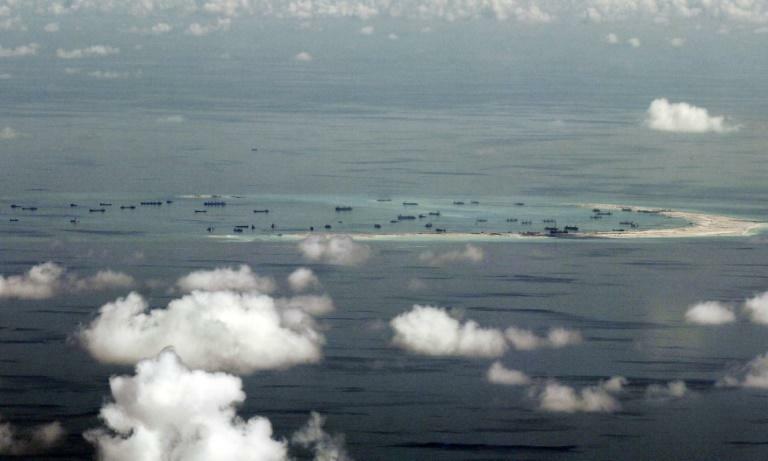 Manila will argue its position against Beijing's claim over most of the resource-rich sea at The Hague on July 7 to 13. China has refused to participate in the arbitration proceedings. The upcoming hearings will decide whether the tribunal has jurisdiction over the case. "We prepared a strong case. We believe we stand on strong legal ground," presidential spokeswoman Abigail Valte told government radio. "We believe the tribunal will look at our case with favour. We are confident of the Philippine position on this matter." Philippine foreign secretary Albert del Rosario will lead a government delegation to The Hague, assisted by US-based lawyers, foreign affairs spokesman Charles Jose said. If the Netherlands-based court decides it has jurisdiction, Jose said the Philippines would be asked to argue the merits of its case in another round of hearings. "We have prepared well enough for these oral arguments," Jose told reporters. The Philippines is among the most vocal critics of China's South China Sea claims, which also overlap with those of Vietnam, Taiwan, Malaysia and Brunei. Dwarfed by China in terms of economic and military might, the Philippines has turned to arbitration as it strengthened military alliances with the United States and Japan. The Philippine navy held separate naval drills with their American and Japanese counterparts last month. The flashpoint South China Sea hosts major sea lanes over vast mineral reserves.